The waters off the coast of Quebec’s Gaspé Peninsula are part of Canada’s newest marine protected area (MPA). Official protection of the area has been a long time coming, with efforts to have the peninsula designated having started in 2011. This week, Fisheries and Oceans Minister Jonathan Wilkinson made it official. 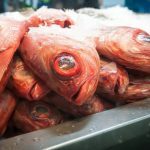 Orange Roughy 900 metres deep have been captured by scientists’ cameras on the Chatham Rise, but overfishing pushed the slow-growing species to the brink. New evidence shows its habitat may be heading the same way. 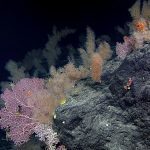 Trawlers hunting for fish in the dark, cold depths of the sea may be doing irreversible damage to vast coral reefs on the seafloor. 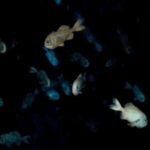 Findings from New Zealand researchers have some environmentalists pushing for a ban on bottom trawling, the primary method of catching deep sea fish, likening its impact on seabed wildlife to the destruction of kauri forests. 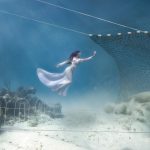 The devastating effects of bottom trawlers lead one activist and photographer to create a campaign to drive emotional messages through their imagery. Continue reading When is a Marine Protected Area not a Marine Protected Area? 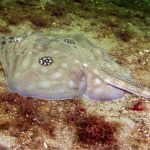 Species as old as the dinosaurs are swimming around in tropical waters at depths accessed by commercial fishermen, according to a world-first study conducted by Australian researchers. 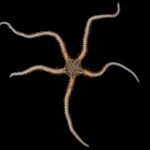 The study, published in the journal Nature on Thursday, examined data on brittle sea stars pulled from 1,500 research voyages in the southern hemisphere from the equator to Antarctica. 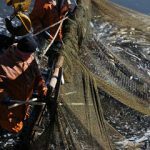 The latest technical paper on catch documentation schemes from the Food and Agriculture Organization of the United Nations (FAO), discusses how such schemes benefit, or could benefit, deep-sea fisheries by protecting them from illegal, unreported, and unregulated (IUU) fishing. 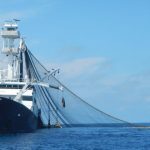 The EU Council has agreed on the total allowable catches (TACs) and quotas for certain deep-sea stocks in the EU and international waters in the North-East Atlantic, for 2019 and 2020. The fish stocks concerned are deep sea sharks, black scabbardfish, alfonsino, roundnose grenadier, and red seabream. It said it had decided to make cuts to fishing opportunities to protect the maritime environment and help the industry in the longer term. The deep sea is a hidden and neglected area of ocean conservation. ‘Out of sight, out of mind’, work to protect the area is poorly funded despite being subject to multiple pressures from climate change, pollution, destructive fishing and the new threat of deep seabed mining. A new grant from Arcadia – a charitable fund of Lisbet Rausing and Peter Baldwin – is, however, helping to change that. 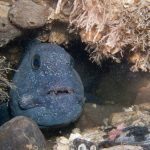 The grant will enable the Deep Sea Conservation Coalition (DSCC) to continue working to bring much needed attention and protection to the deep over the coming five years. More than 150 scientists have called on EU leaders to end the “overfishing crisis” in the Mediterranean to prevent the collapse of the region’s fish stocks. 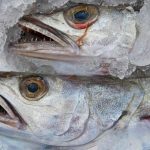 Experts from European countries including Italy, Spain, the UK and France signed a declaration by leading conservation group Oceana, which calls on the EU to reform the fisheries industry in what is considered the world’s most overfished sea.